United States foreign assistance is an important component of the United States’ foreign policy arsenal, and is often viewed as a useful tool used to promote U.S. policy objectives overseas, including economic, security, human rights, and democracy and governance priorities. Each year, as Congress considers a new federal budget, it undertakes extensive debate on the scope of U.S. foreign assistance, including the amount of funding to be allocated and appropriated, the types of programs to be funded, and any conditions and exceptions Congress believes ought to be attached to such aid. 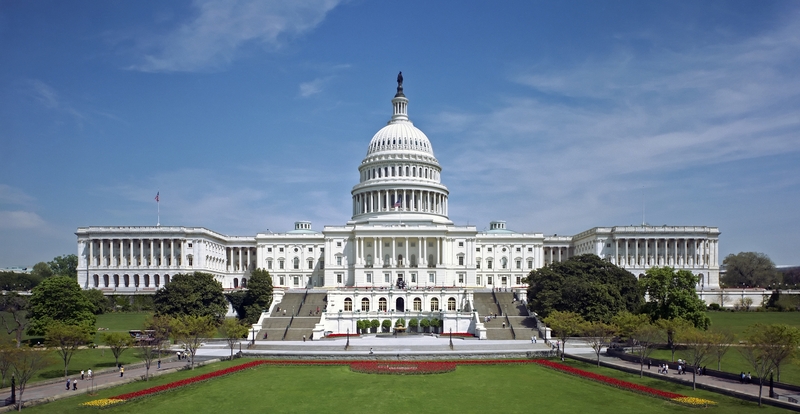 The fiscal year 2015 (FY15) budget, passed by Congress on Saturday night, December 13, funds federal government agencies and programs through September 30, 2015. Section 7041(a) of the law outlines the level of assistance appropriated to Egypt for FY15, as well as the conditions and exceptions that apply to the obligation (or “release”) of those funds. For FY15, Congress has appropriated $1.45 billion to Egypt: $1.3 billion in Foreign Military Financing (FMF), which covers defense articles, services, and training; and $150 million for the Economic Support Fund (ESF), which covers education, economic growth, and democracy and governance programs. As described below, although Congress has placed several conditions on the release of this aid, the United States government can still circumvent those conditions by invoking one (or more) of the exceptions enumerated in the law. In order for both FMF and ESF FY15 funds to be released to Egypt, the Secretary of State must certify that Egypt is sustaining its strategic relationship with the United States and meeting its obligations under the 1979 Egypt-Israel Peace Treaty (“security conditions”). The same security conditions were placed on fiscal year 2014 (FY14) aid to Egypt. In April 2014, Secretary Kerry certified that Egypt had met these conditions, which set in motion the eventual obligation of $572 million in FMF funds for Egypt (out of the total $1.3 billion that had been appropriated in FY14). The Secretary must also certify that Egypt is meeting seven aid conditions related to the promotion of democracy and protection of human rights (“human rights conditions”). If those human rights conditions are certified, up to $725,850,000 of the aid to Egypt may be released. Up to an additional $725,850,000 may be released if, 180 or more days after the first certification, the Secretary avers to Congress that the human rights conditions continue to be met. The FY15 human rights conditions are more stringent than those placed on Egypt aid in the FY14 budget. For the remaining FY14 aid money to be released, the Secretary of State need certify only that Egypt has held a constitutional referendum and is supporting a democratic transition (thus allowing up to $975 million in aid to be released), and that Egypt has held parliamentary and presidential elections and that the new government is governing democratically (which would allow up to an additional $576.8 million in aid to be released). So far, the Secretary has not certified that either of these conditions have been met. As mentioned, Congress has included exceptions in the budget that would allow the Secretary of State to waive the security and human rights aid conditions for Egypt. The first exception, known as a “national security waiver,” would allow the United States government to release both FMF and ESF aid if the Secretary certifies to Congress that the release of such aid is in the national security interests of the United States. In invoking this exception, the Secretary must also explain in detail why the human rights conditions cannot be met. This exception was not included in the FY14 budget. The second exception, referred to as “security exemptions,” would allow FMF aid to be used for counterterrorism, border security, and non-proliferation programs in Egypt and for development activities in the Sinai. The Secretary must again certify to Congress that the release of FMF aid for such purposes is important for U.S. national security interests. The same security exemption was included in the FY14 budget. Secretary Kerry invoked this exemption in April 2014 when he certified that Egypt had met the security conditions. As a result, the $572 million in FY14 funding that has been obligated for Egypt may only be used for the purposes expressed above. Lastly, the FY14 and FY15 budgets allow both current and prior year FMF funds to be made available at the “minimum rate necessary” to continue existing programs, even if the human rights conditions have not been met. However, defense articles and services from such programs may not be delivered until the human rights conditions have been met. The general purpose of these provisions is to ensure that payments can continue to be made on existing defense contracts so the United States government is not forced to pay a late payment or other contract penalty. The following chart provides a general comparison of the FY14 and FY15 funding levels for aid to Egypt, as well as notable conditions and exceptions. 7. Has released all American citizens deemed to be political prisoners by the Secretary of State and dismissed charges against them. Might a national security waiver be invoked to waive conditions? Yes, if the Secretary of State certifies to Congress that release of aid would benefit U.S. national security interests. Might a security exemption be invoked to waive conditions? Yes, if aid is used for counterterrorism, border security, non-proliferation programs in Egypt, or for development activities in the Sinai. No, the security exemption does not apply to ESF. Can the “minimum rate necessary” clause waive conditions? Yes, funds may be made available at minimum rate to continue programs. No, the minimum rate clause does not apply to ESF. Of note, the budget also stipulates that the June 4, 2013 verdict issued by an Egyptian court against NGO workers is not valid in the United States. Specifically, the law stipulates that the verdict is not considered a conviction “for purposes of United States law or any activity undertaken within the jurisdiction of the United States.” This provision applies to any U.S. citizen, national, or lawfully-admitted permanent resident alien in the United States. The FY15 budget also imposes certain reporting requirements upon the State Department. First, the Secretary of State must report to relevant congressional committees, within 30 days of enactment of the law, on any defense articles withheld from delivery to Egypt during those 30 days. Within 90 days of enactment, the Secretary must consult with the House and Senate Appropriations Committees on “plans to restructure military assistance for Egypt, including cash flow financing.” The provision does not require the Secretary to actually restructure military assistance to Egypt, but it does require the Secretary to engage with Congress on this issue. This provision is notable given that Egypt has received military assistance from the United States for more than 30 years, and has been the beneficiary of cash flow financing for almost as long. The following chart details what must happen, and when, in order for FY14 and FY15 aid to Egypt to be released. President signs FY15 omnibus bill into law. FY15 aid to Egypt becomes available. The Secretary of State must report to the Appropriations Committees on any defense articles withheld from delivery to Egypt as of the date of enactment. The Secretary of State may invoke an exception to the aid conditions. Unless Congress places a hold on the release of aid (as Senator Leahy did in April 2014), FY15 aid will be released to Egypt as permitted under the terms of the law. The Secretary of State may certify to Congress that Egypt is meeting the security and/or human rights conditions outlined in the law. Unless Congress places a hold on the aid money, the first tranche of aid money (up to $725,850,000) may be released. The Secretary of State may certify that the human rights conditions continue to be met. Unless Congress places a hold on the aid money, the second tranche of aid (up to $725,850,000) may be released. Deadline by which FY14 FMF and FY15 ESF aid must be obligated (the deadline for FY14 ESF aid to have been obligated was September 30, 2014). Any aid that has not yet been obligated becomes unavailable. Deadline by which FY15 FMF aid must be obligated. – Has released all American citizens deemed to be political prisoners by the Secretary of State and dismissed charges against them. This special privilege effectively allows Egypt to purchase defense articles up-front and pay for them over a period of years using future FMF appropriations.